Disclaimer: We received a complimentary trip to NYC as part of the Ultimate Seekender Team from Hampton by Hilton. We would have stayed there anyways! All opinions are my own. 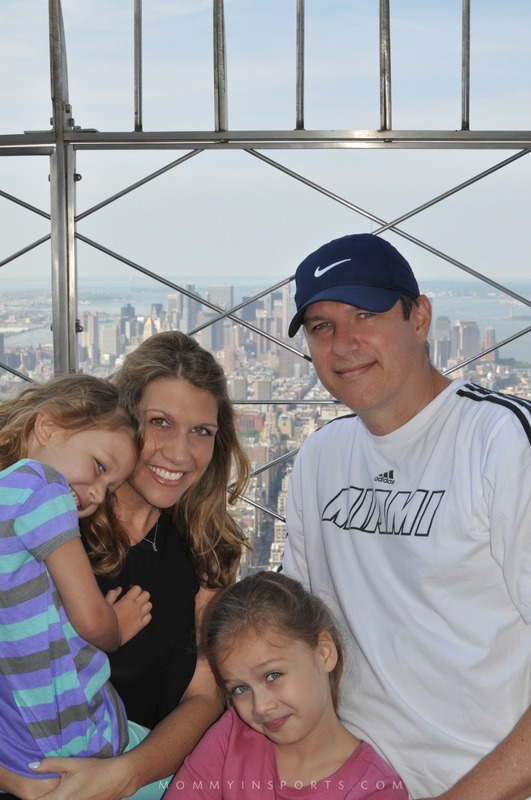 Watch here to see the top 5 things to do in New York City with kids! And read below for more details and money saving tips if you too are planning a trip the city that never sleeps! 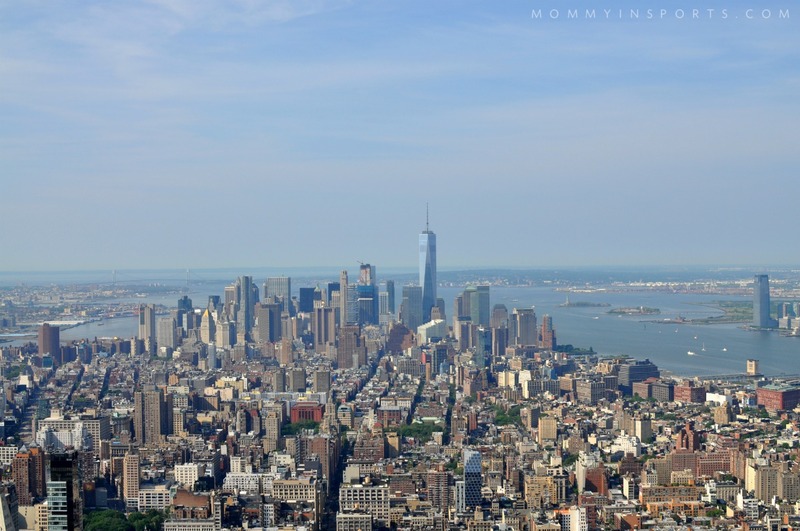 top 5 things to do in new york city with kids! Our oldest just learned about Lady Liberty in school, so she was super excited to see her up close and personal. We missed the boat though (pun intended) and didn’t get tickets to climb to the top in time, so instead we took the Circle Line Landmark Tour. 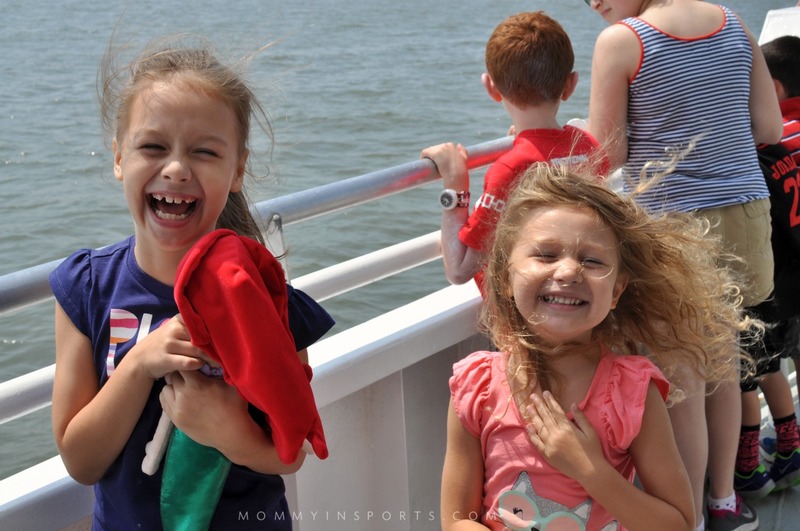 It was a 90 minute boat ride perfect length for kids, and they loved it! Circle Lines has food on board, bathrooms, and we recommend sitting below so you are shaded from the wind, but can still go to the bow of the boat. 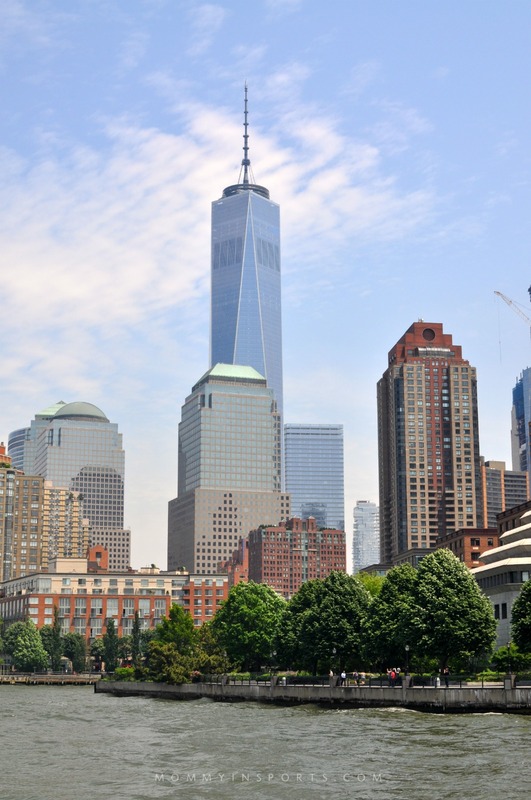 You see more than just the Statue Of Liberty, there were stunning views of One World Trade Center and the Brooklyn Bridge. Just bring pony tail holders, and jackets in the summer. The breeze and water was cold! 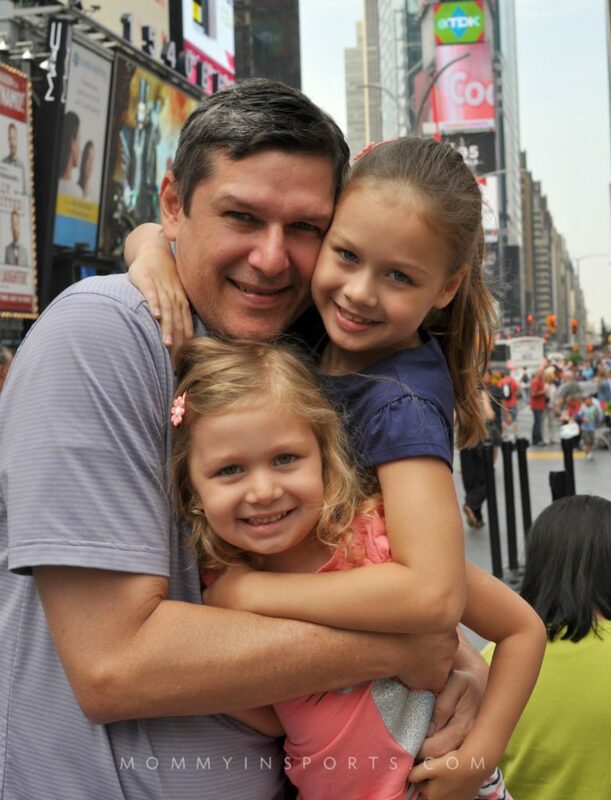 Start spreading the news, it’s a must in NYC to check out the busy streets, so we took the girls to Times Square. 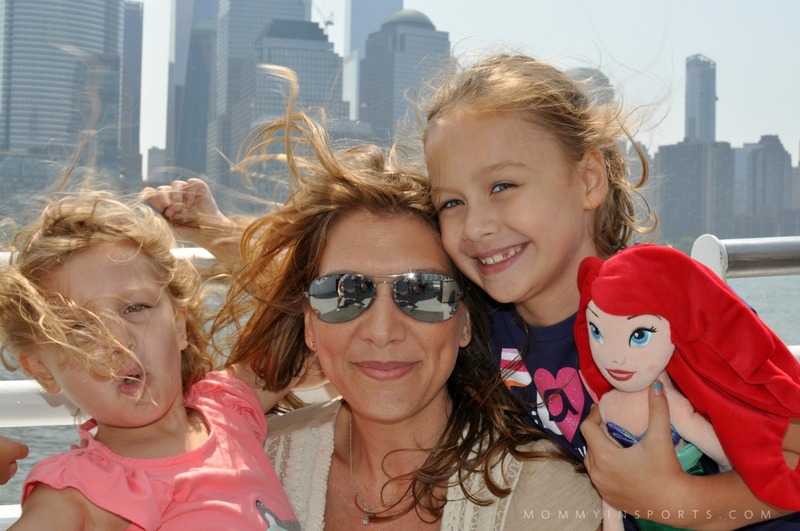 They loved the big screens, princesses on the billboards, and the Disney Store of course. They also loved the M&M store. It’s a great photo op, plus you can go to the Tickets kiosk if you want to purchase discounted Broadway tickets. But keep in mind it’s super crowded, so be prepared to walk and avoid those crazy street vendors! 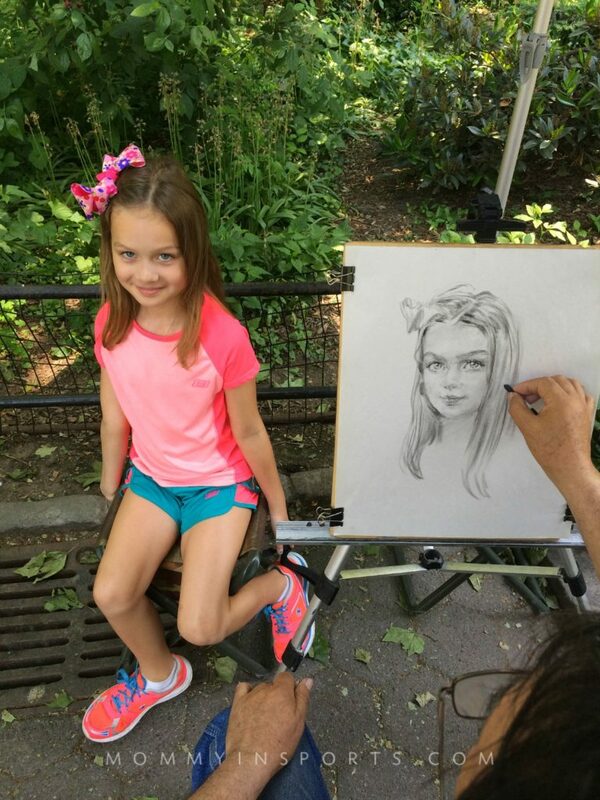 You know what’s so cool about the Central Park Zoo? It’s like an oasis in the middle of all that chaos. 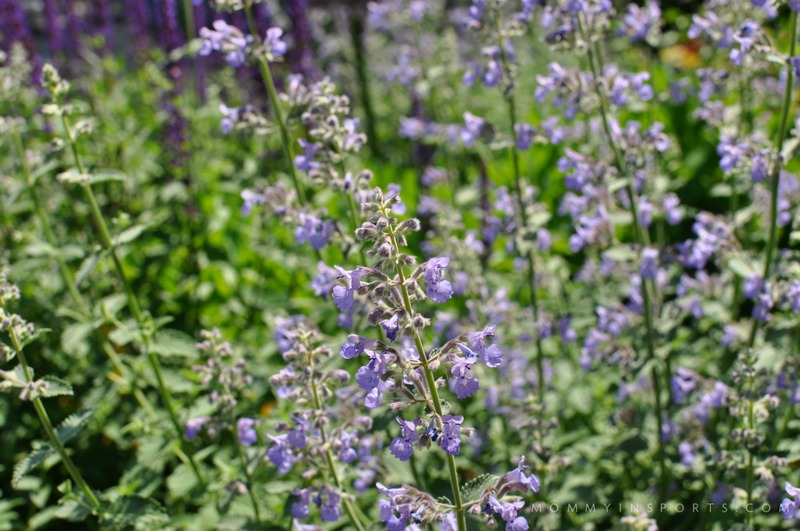 The botanical gardens are beautiful, and it’s just the right size for a couple hours of exploring with your little ones. 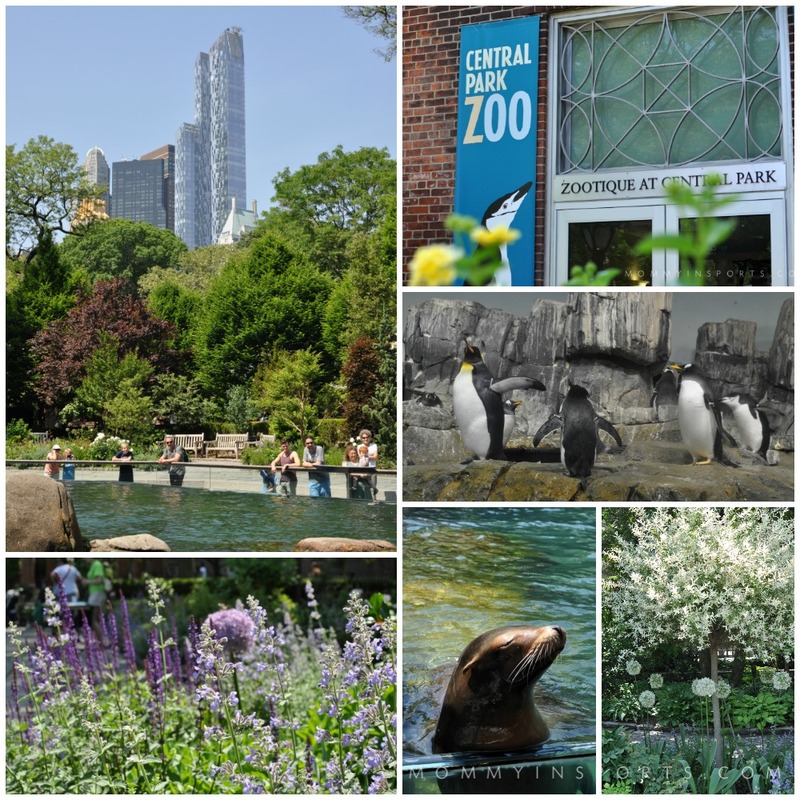 I love everything about Central Park, but I was particularly smitten with the gorgeous grounds of the Zoo, and the adorable animals. The sea lions posed for us as did the penguins. 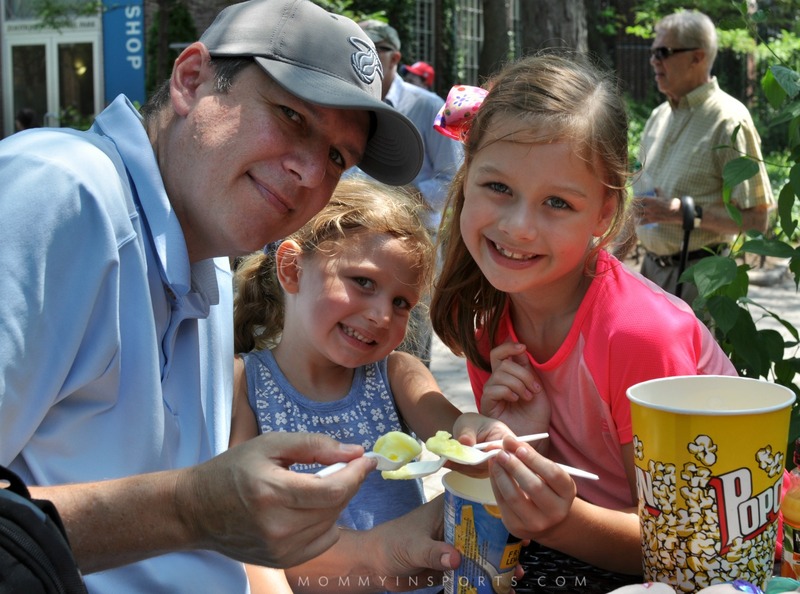 It was something we had never seen before in New York, so it was fun for our entire family! And the girls loved the snacks! Afterwards we were suckered into getting portraits drawn for both kids. They loved it though, and that’s all that mattered. Plus we had a chance to rest on the park bench! How pretty is that drawing?! 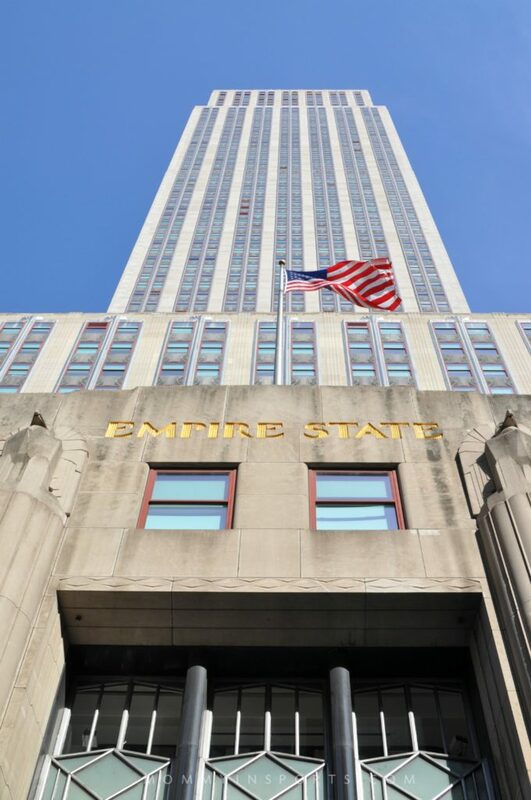 Luckily our Hampton by Hilton in Chelsea was just a few blocks from the Empire State Building, so we walked to it the morning we left town. I highly recommend this tourist hot spot early in the morning when there are no lines with kids. We wanted to do it at night to show them the city lights, but everyone was too tired from all the walking. 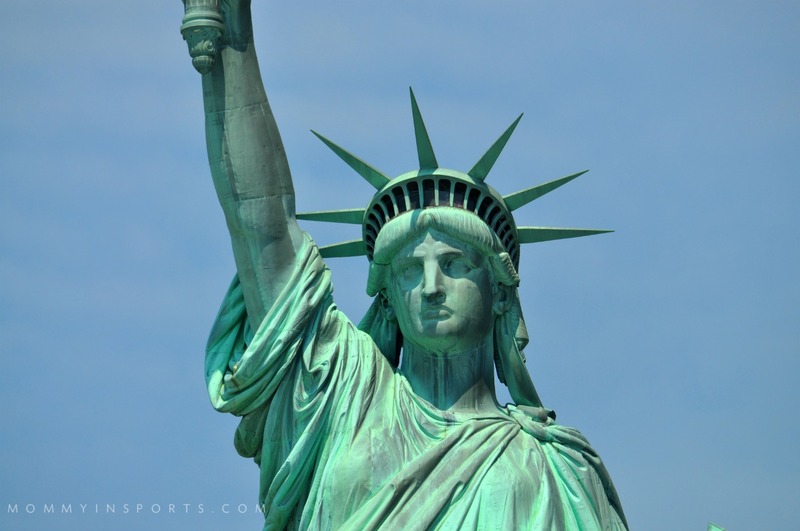 You can buy your tickets in tandem when you purchase the Circle Line Tour boat ride to the Statue of Liberty to get a discount. Here’s your Christmas card pic ya’ll. Merry Everything! Pretty sweet view huh? My oldest said it wasn’t high enough, she was still mad she couldn’t climb the Statue of Liberty. I could seriously write an entire blog about NYC desserts, but for this post I wanted to narrow this down to ONE place you have to go. That’s really not possible though! 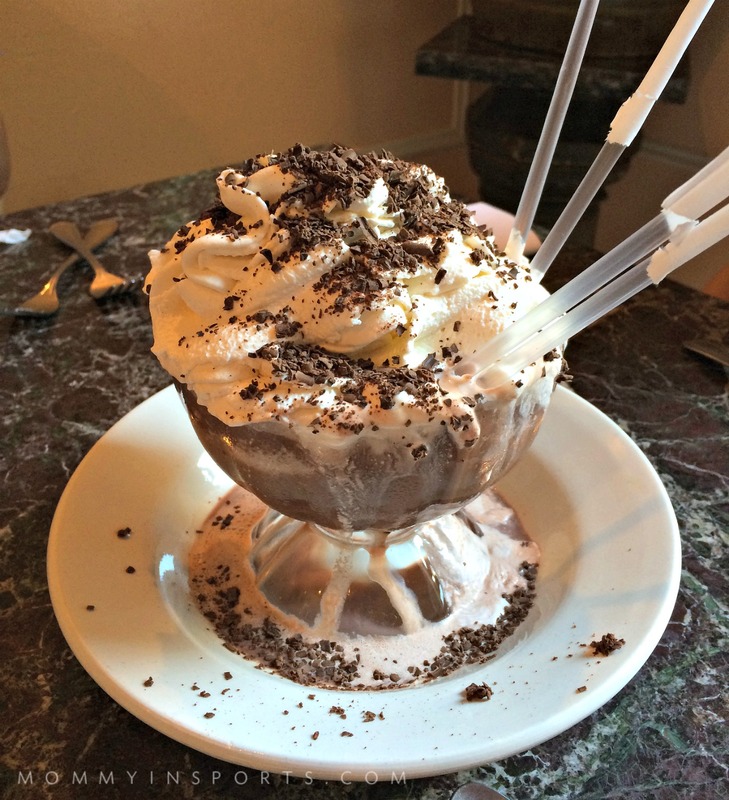 The girls and my husband loved the Frozen Hot Chocolate at Serendipity 3. There was even a movie made with John Cusack titled Serendipity, and it’s a super quaint restaurant known for its treats! I of course didn’t love it, because I’m not a fan of chocolate. (I know, I know!) They inhaled it though! 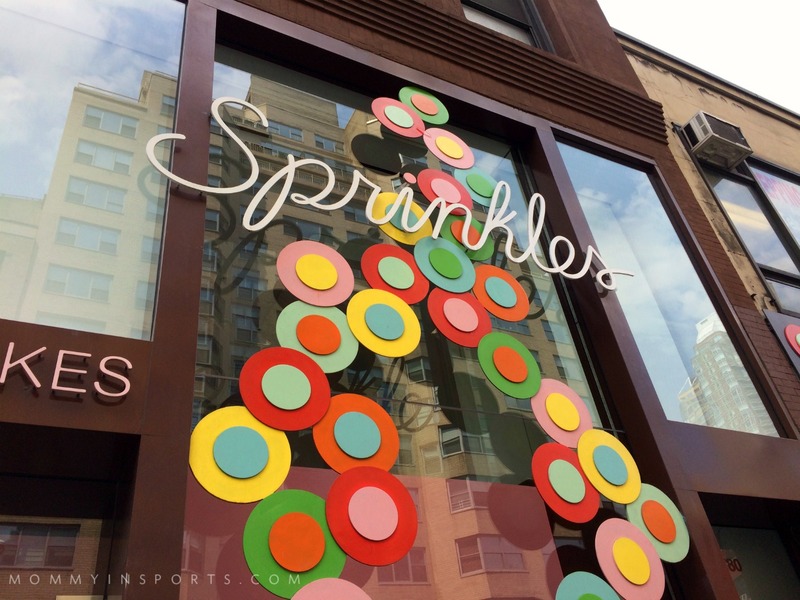 But I did love…Sprinkles. 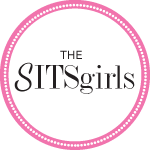 If you are a fan of this blog you know how obsessed I am with cupcakes, I even wrote a copycat recipe of Sprinkles Famous Strawberry Cupcakes, and I finally tasted one. OMG is all I can say, it was perfection. 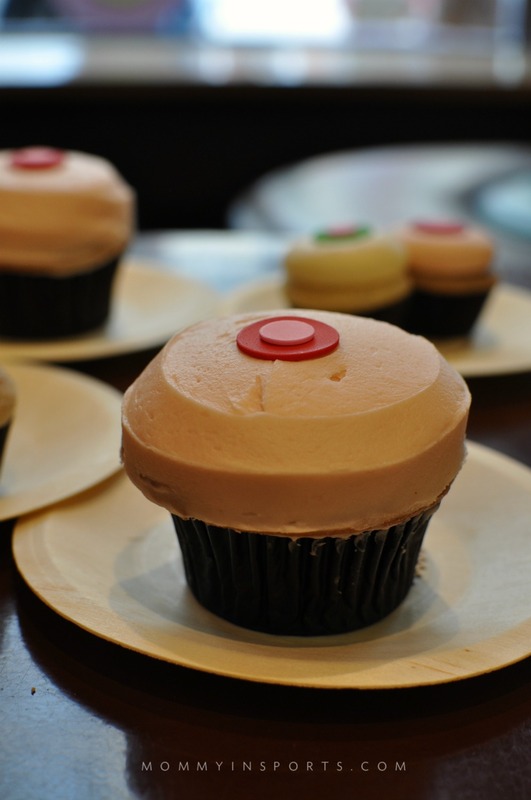 I was so excited to finally try these, and the cupcake ATM is genius. I even had the cab driver stop one more time on the way to the airport. Told you I was obsessed! We also really wanted to go to a show, but were worried our youngest wouldn’t make it through a Broadway production. That’s on the To-Do List next year! We had so much fun in such a short time, I’m always amazed with how much we see and do when we plan ahead for long three-day weekend trips. 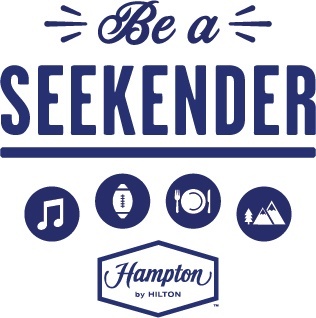 I hope you too will become a Seekender and try out an awesome Hampton by Hilton property! 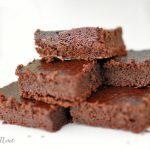 For more details, or more Seekender inspiration, please check out this site! Hope you have as much fun in New York City as we did! Don’t forget to follow along on Facebook! Your girls are too cute for words!! I’m glad you guys had such a great time (and didn’t have to make your own beds 😉 ). Emy loved the maid service! LOL thanks for watching! Thank you, I can’t believe I’ve never been!!! What a great trip!! I love the cupcake ATM. I always thought of NYC as somewhere to vaction without the kids, now I know I can take them along! So fun! What a fabulous list. I love NYC. We’re going in a few weeks. Can’t wait. 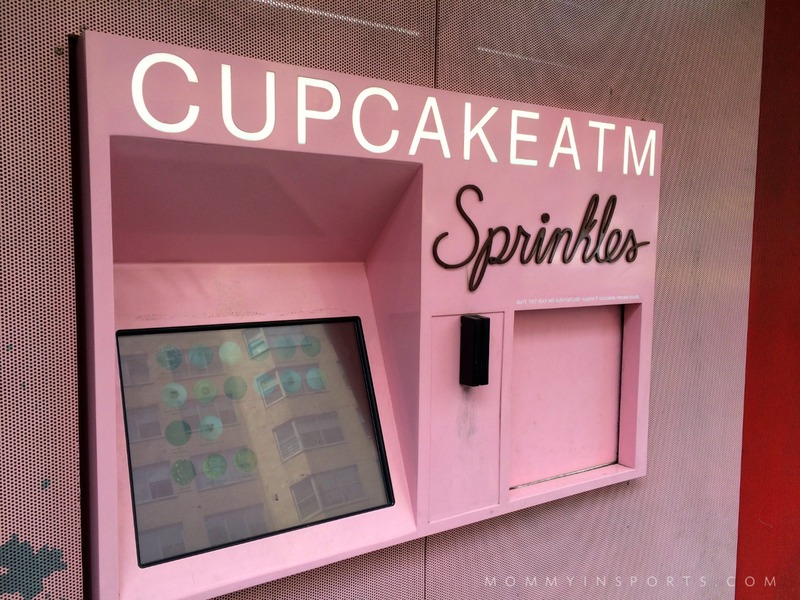 a cupcake ATM, no way!! There should be one of those on every street corner. We just came back from a vacation and stayed in a Hampton. Love staying there! I would love to take my kids NYC. Someday soon hopefully! Scarlet and Cassidy do an annual December trip and they do the Empire State Building and Times Square, and of course, frozen hot chocolate. No statue.. yet. Maybe they should go twice a year to experience better weather. We loved seeing you! Thanks for the hospitality, can’t wait to see the footage! 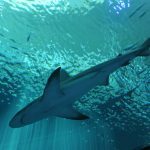 So, I’ve been to NYC so many times, and have only done ONE of the things on this list! Looks like you had a blast, and I can’t wait to make a family trip to NYC again sometime!